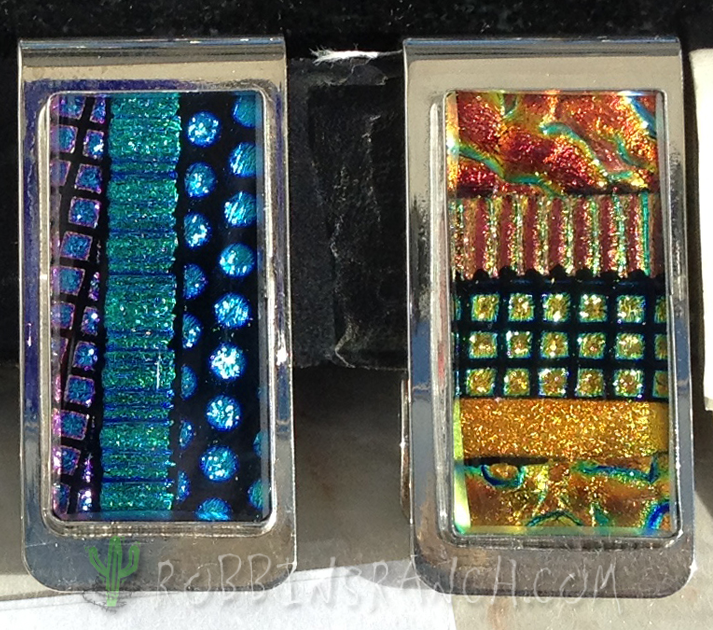 These dichroic glass money clips are fused glass that is set with fine silver bezel onto solid nickel silver clip. 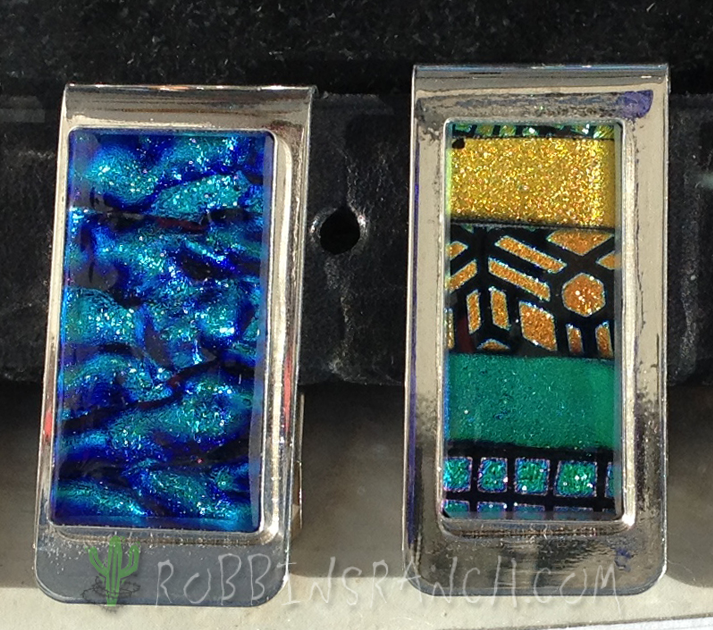 We use a nickel silver for the clip rather than sterling because it holds its shape better and will be a much more durable metal, for everyday use. 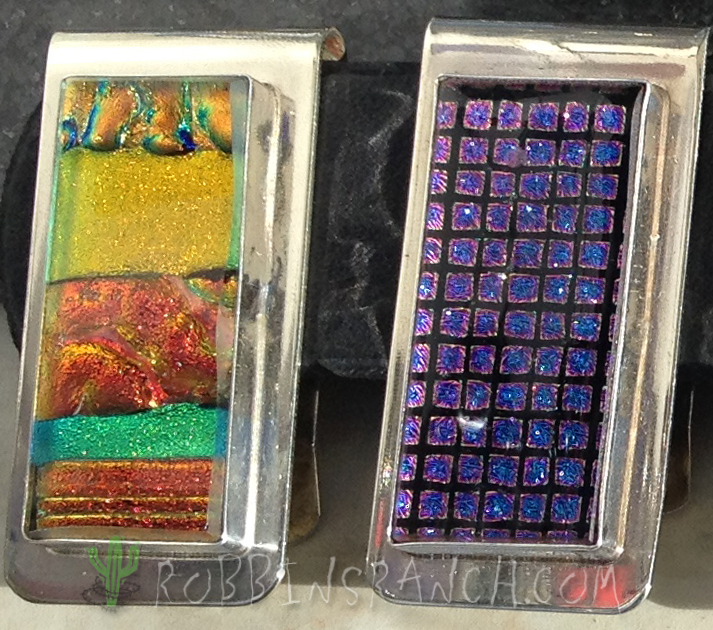 The cabs that are set on top of each money clip are all one of a kind. 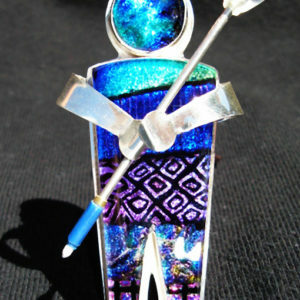 They are created by us in the kiln, then cut and polished like a stone. 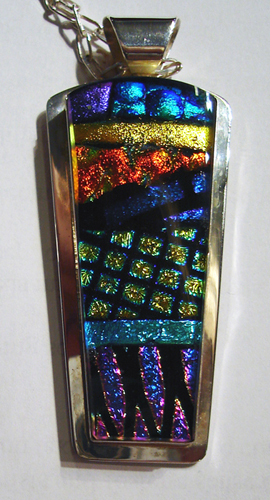 The glass is then epoxied permanently into the setting to ensure strength and longevity of this functional jewelry piece. 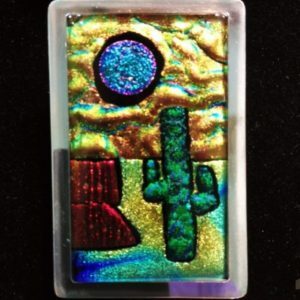 Each one of our money clips is hand made and very unique so please call or email us for images of the current inventory.